Suggested by Sonic Ness is a tough kid with several PK powers at his disposal. It would likely be tough for Alakazam to manipulate him due to Ness’ own psychic abilities. That being said, Alakazam still has the edge here with his large array of moves. He can use dozens of different Pokemon moves and I’d also argue that he is faster than Ness. That will let him throw out enough moves to keep Ness off balanced and eventually the hits will start to add up. Then that’ll be the end of the fight. Alakazam wins. 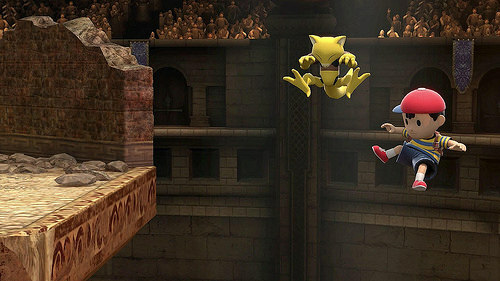 This entry was posted in Alakazam Battles, Battles, Ness Battles and tagged Alakazam, Ness by dreager1. Bookmark the permalink.